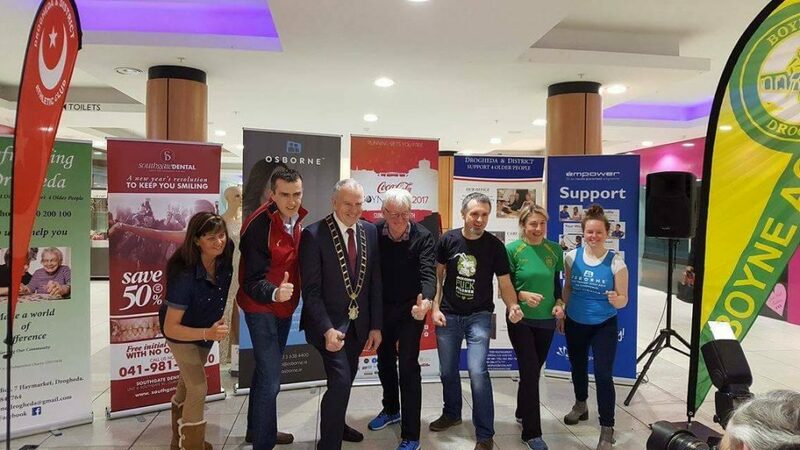 The Coca-Cola Boyne 10k 2017, which takes place on 30th April, was launched in the presence of the Mayor, Oliver Tully. We are delighted that we (Drogheda and District Support 4 Older People) are this year’s chosen charity partner. While the title sponsor is Coca-Cola the event is also supported by Osborne – M1 Drogheda, énergie Fitness-Drogheda, Southgate Dental Ltd, Jack Cody’s, Laurence Shopping Centre, Drogheda Independent, Keelings, Suhreel, Bowden, Walsh & Co, Foxpak, Express Sidegates, Tullyallen Pharmacy, Hilton Foods, M&M Recovery Drogheda, Myrunresults.com and Nature’s Valley. We greatly appreciate this support. Thank you all!